I always enjoy taking part in TV shows, but I recall this occasion as being especially happy and enjoyable. I would like to place on record my thanks to all concerned. The production team did an excellent job of organising the whole experiment, and they enforced all the conditions very strictly. I was naturally very pleased to hear that my reading was considered to be "99.9%" and "95%" accurate! 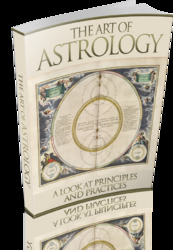 It was also most intriguing to hear the more sceptical of the two clients suggest I had "proved" that astrology works. Some time after the above demonstration, I was contacted by British journalist, broadcaster and author John Diamond. John was writing a piece on psychics for 'She' magazine. He had already seen three professional psychics, and for comparison he wanted me to give him the cold reading treatment (even though he knew I was a fake). Being pushed for time, I simply rehashed the above reading on the computer so that the sign was 'Taurus' and the gender was changed from female to male throughout. Otherwise, I left it exactly as it was. I duly presented the reading to John, and his considered judgement was that it was "about 88%" accurate. 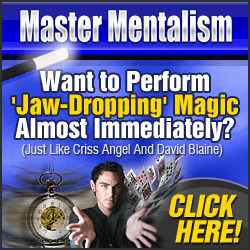 This was a higher rating than he gave to any of the three psychics he consulted! As I met each client, I told her that once I had picked up 'vibrations', I would prepare a report of my clairvoyant impressions which the production team would quickly type up and present for her assessment. This was untrue. Before flying to LA, I simply re-vamped the above reading, deleting the astrological jargon and replacing it with terms more suited to a clairvoyant reading. Otherwise, I left it unchanged. I printed out four identical copies which I took with me on the plane, and these were the 'reports' which the four 'Leeza' audience members received. All four of them gave it a better than 80% accuracy rating! I must mention in passing that this was another very enjoyable TV experience, and the producers did a wonderfully efficient job of setting up this experiment despite an acute lack of time. I was also made to feel very welcome by all concerned, which was nice given that I was four thousand miles from the damp little rock I call home. All in all, the reading has served me very well indeed. 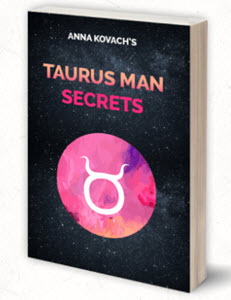 Its basic content has been dressed as an astrological reading for a female Virgo, a female Taurean and a male Taurean. It has served as a clairvoyant report. It has been presented to intelligent 'clients' who ranged from the mildly credulous to the openly sceptical, from South Africa, England and America. It has always been rated as at least "80% accurate", and in its original form secured votes of "99.9%" and "95%" accuracy. In Section Three, we have seen two examples of cold reading under test conditions. I believe these demonstrations are strong evidence that cold reading really works. Whether any psychics in real life actually use cold reading is a separate question, and one which I will leave to your judgement. Having looked at how cold reading works, it is interesting to look at how to prevent it working. This is the subject of Section Four. Before that, a second and final Interlude.